Free shipping to U.S. on all orders. Note: Ladies' shirts not available in 4XL or 5XL. 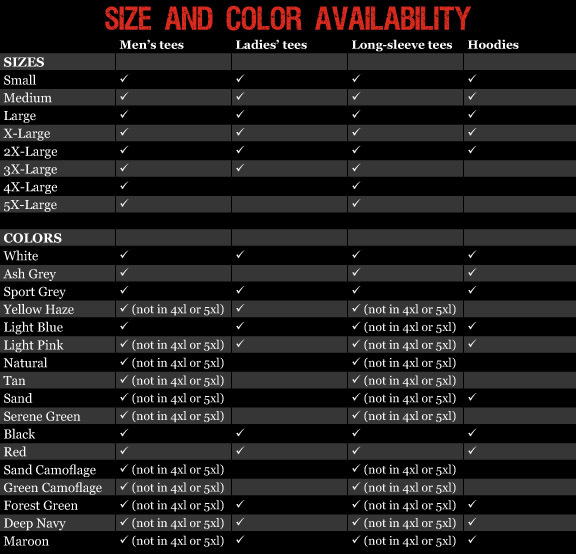 See below for color availability for Men's & Long Sleeve shirts in 4XL and 5XL sizes.